Oh no. It is starting to happen again. Its that time of year when “Crape Murder” happens all around Central Florida. One person starts and the practice spreads down the block like the flu. And the, before you know what happened, your neighborhood is littered with nubby-looking branches where nice plants once grew. Pruning crape myrtles has become quite the discussion and its time we set the record straight. 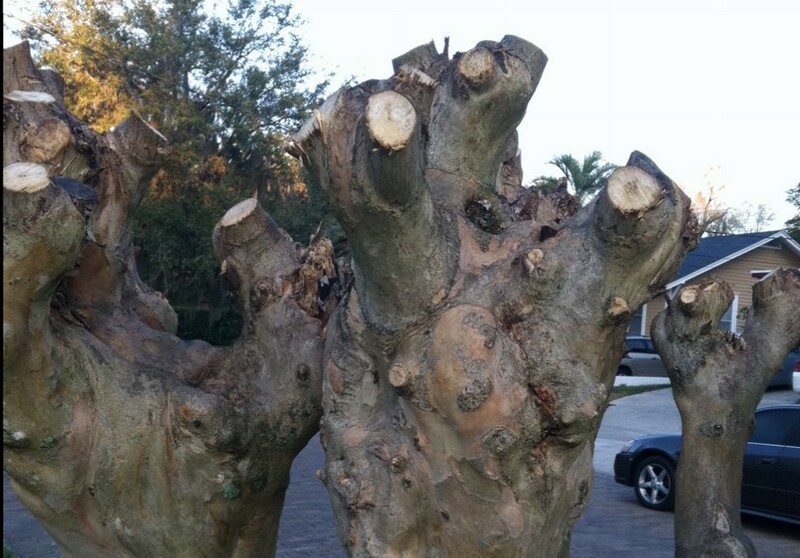 The controversy surrounding proper crape myrtle pruning is one of the most argued aspects of landscape maintenance. 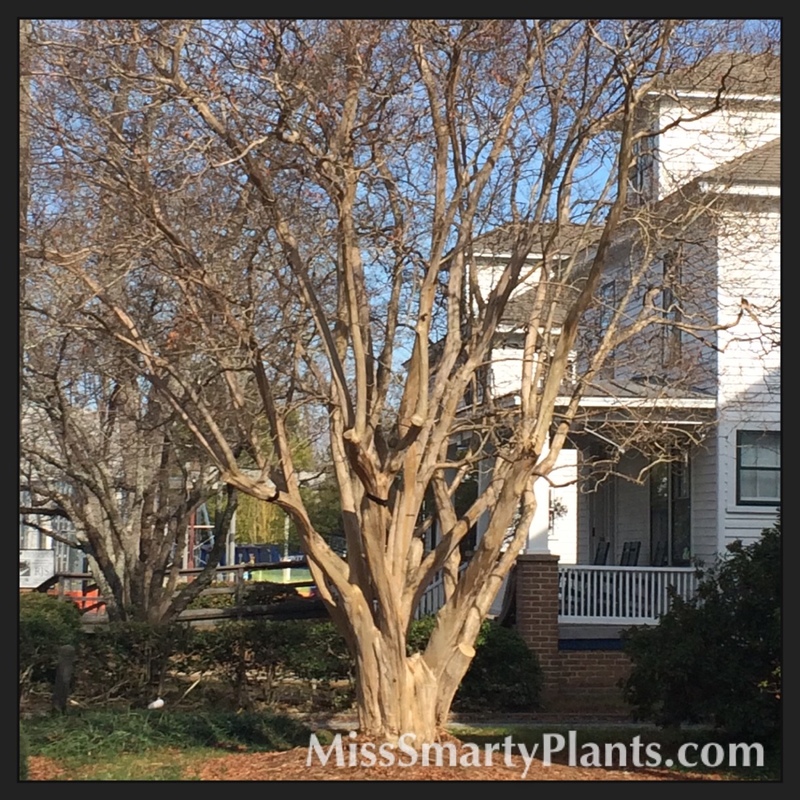 While the late winter months are the best time to prune dormant trees, very little work is necessary to prune your crape myrtles. The University of Florida has published their recommendations for proper maintenance of these popular landscape plants to help homeowners understand the basics. According to Professor Ed Gilman, little or no pruning is needed to induce blooming. Research shows that “topping”, or cutting the branches down to hard sticks, does not increase bloom size or duration. WHAT?!?! That’s right. 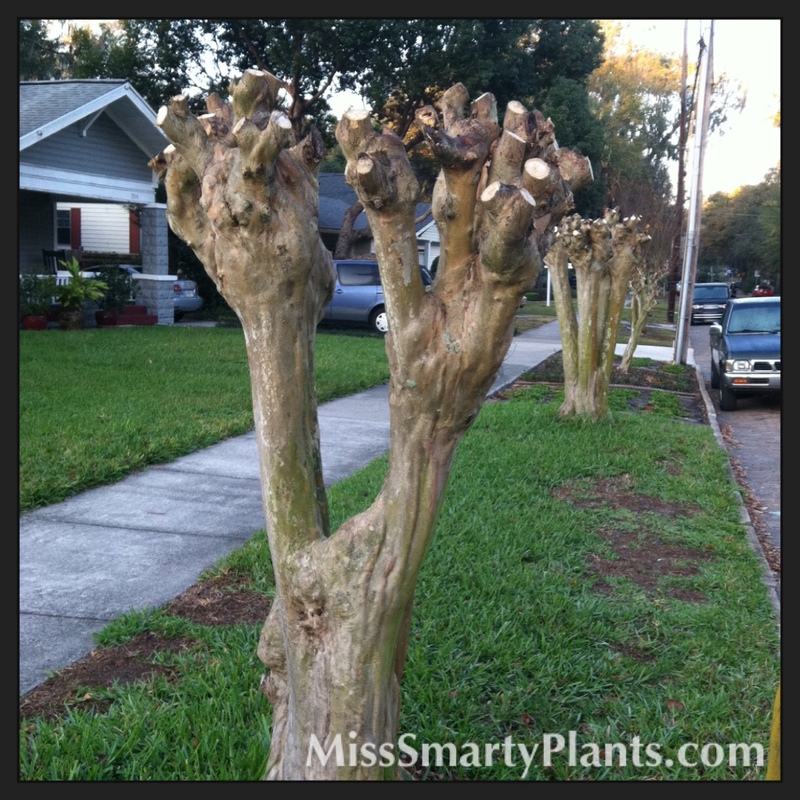 Pruning crape myrtles does not increase blooming. Unless there is a safety issue to deal with, the trees should be left to grow in their natural vase-shaped form. If you are feeling really ambitious you can trim off the old seed heads and any small sprouts that might come from the base. If you are interested in correcting the shape or structure of your plant, try to keep your cuts to branches smaller than the diameter of a pencil. This process can me time consuming, but trimming just the small branches can help promote the rounded, clean shape and will not harm the integrity of your tree. If your tree already has a single trunk you can trim off any sprouts that might be coming up at the base. 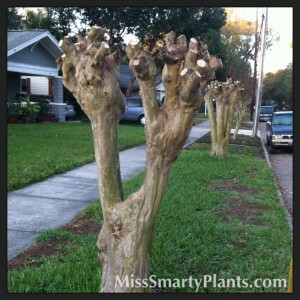 If you find yourself pruning your crape myrtles to keep them smaller, the bad news is that you have the wrong plant. There are hundreds, if not thousands, of varieties available and there is sure to be one in the right size that you desire. My friend Gary Knox at the University of Florida has put together some great information on these varieties that can be read here. The photo to the left shows just how lovely a crape myrtle can be when left to form the beautiful vase shape. The bark on these is naturally exfoliating, so you will see some really nice colors and an almost mottled look to the trunk as it gets older and larger. So this spring, sit back and enjoy the natural beauty of your crape myrtle. The flowers will be pleasing throughout the entire summer and the natural, graceful shape of your tree will be enjoyed all year.